is a powerful heavy weight bloom booster designed to be used the last 2 to 4 weeks of the flowering stage. The superior composition of ULTIMATE PK provides the plant with all the nutrient needed during ripening for more abundant fruit set, hard cell structure and the best possible flavor and aroma. Use 8 ml per 1 gallon the last 2-4 weeks of the bloom stage (Discontinue use of C4 when Ultimate PK is introduced). 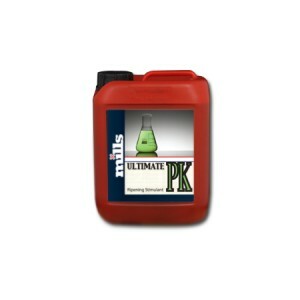 ULTIMATE PK is the “ultimate” bloom booster on the market today! Compatible with all growing medium and watering methods.